T-Mobile on NB-IoT was the winner in a thrilling public US LPWAN Champion Hurdle. T-Mobile entered the NB-IoT horse trained by parent company, Deutsche Telekom in Germany. The surprise second place was taken by Verizon, also ridden on an NB-IoT horse. The runners up in the first LPWAN race of 2018 were the unlicensed riders. Unicorns without jockeys proved to be the wrong breed. LPWAN is not fantasy – it is big business with billions of IoT devices forecasted. Before the race there was a lot of marketing noise by the owners in the unlicensed band. Verizon boasted that the French horses from the farm in France called LoRaWAN would succeed but they weren’t even placed. Bad news for the French trainers because Verizon placed the order for Swedish NB-IoT horses from Ericsson. The owners of the unicorn abandoned its jockey end of the last year. They recognised that unicorns are great for marketing but pretty hopeless in a race. Everybody initially believed the story about the unicorn but they are increasingly realising that they don’t exist. Even with a jockey the unicorns will not win the public LPWAN Champion Hurdle. Nobody can ride a non-existing horse. So what should we do with horses that can’t win the public LPWAN Champion Hurdle? We could show them at the zoo – a unicorn would be a popular attraction. Anyway, we’ve already discovered that unicorns don’t exist so based on that we can’t show them. What about entering them into a private LPWAN Champion horse race without hurdles? LoRaWAN is not too bad a horse in a private race but Weightless is even faster. The Weightless owners trained their horses for private LPWAN Champion races from the beginning. 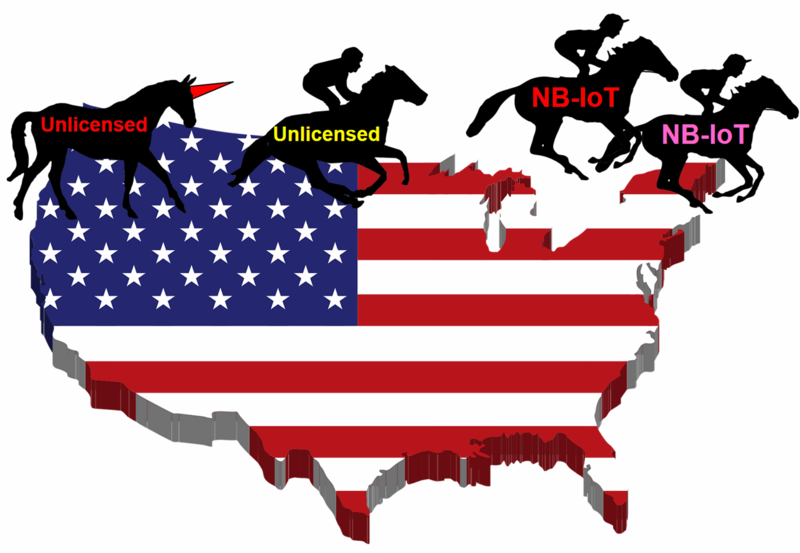 The rules for horse races in the US and Europe are different (FCC and RED). The result is that the British horses from the Weightless stable are running much faster in the training than the horses of the other owners. The Weightless owners doped their horses with TDMA, FDD, frequency hopping and LBT steroids. And a whole lot more. LoRaWAN is based on an old protocol layer called Aloha. Our tips is to bet on Weightless or other modern radio protocol stack horses. Nevertheless, the bad news for the private LPWAN stables is that there are no races currently in the news. The horses are resting in the stables because private LPWAN owners have no lobby groups and big marketing teams. Let’s see who will be the winner of the next public LPWAN Champion Hurdle in the next country; the winners are certainly not set in stone. In the next race maybe the Verizon owners will be victorious instead of T-Mobile. Remember that the racing team at AT&T is training horses too. The rumours is that they bought NB-IoT-Horses as well. We’ll find out at the next meeting. I hope that this short article will motivate you to think about which LPWAN will best fit your application. If you still cannot reach conclusion based on this information and need some advice or consulting then do not hesitate to drop an email to harald.naumann (at) lte.modem.com . I am working on my new IoT / M2M Cookbook related to LPWAN and I can offer you all the above mentioned LPWAN technologies (modules, antennas, base stations). Thank you in advance for your comments at the blog or ping me an email.